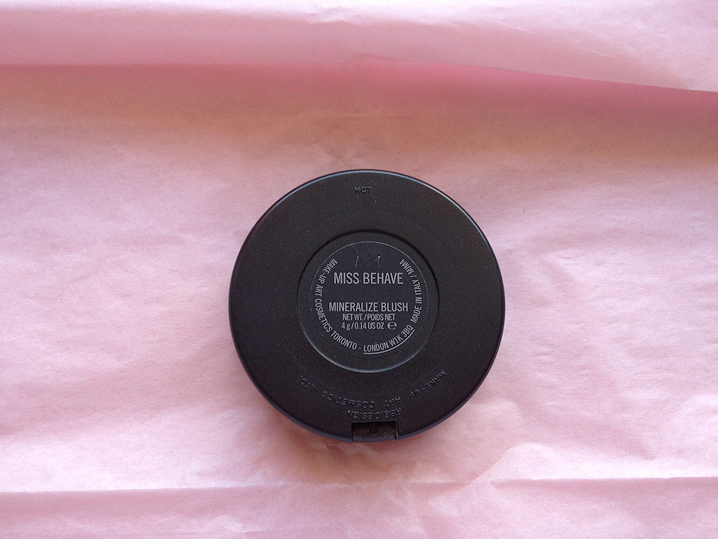 I don't really buy much limited edition products and I won't make a habit of reviewing them because it's hard to get a hold of them once they're gone, but I simply adore MAC's "Miss Behave." It was part of the MAC's Quite Cute collection for Spring 2011. Sadly, I wasn't much into buying MAC back then (also MAC's LE products have a bad rap in terms of quality consistance) so I didn't pick up anything from than collection. I wish I had. The colors and packaging are adorable! Anyways, I got this at a CCO last summer. 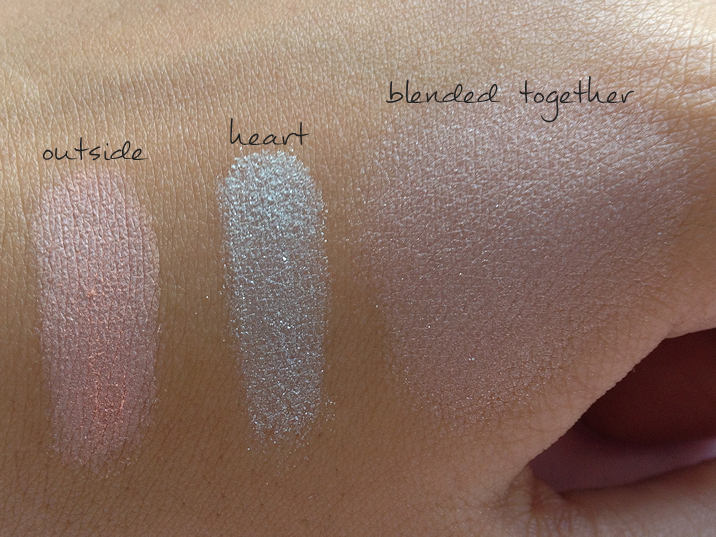 Usually I'm not one for mineralized products because I don't like shimmery or satin finishes (forever a matte lover!) but I truly love Miss Behave. It's labeled as a blush, but I use it only as a highlighter because it's too light to show up on my cheeks otherwise. It would probably show up on pale skin tones as a light peachy-pink color. The heart has a slight minty green color that is hard to pick up on camera. It's great because it helps tone down redness. I should mention that it's quite powdery. There's a lot of powder kick-off when you swirl your brush in it. To minimize it I use a dense concentrated brush (the Real Techniques Expert Face brush). The powderiness doesn't translate offensively onto the skin and the texture of the powder is still quite soft. Overall, I give this an A- (borderline B+ because of the powderiness). 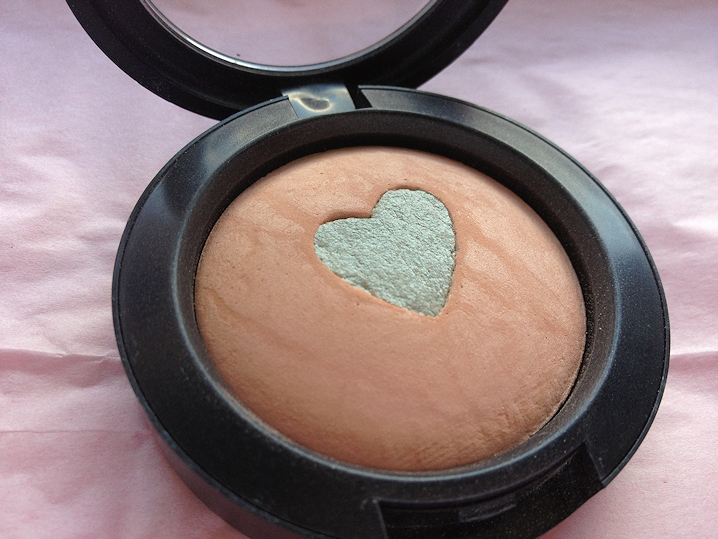 It's a perfect natural highlighter for my warm undertones because it reads peachy-beige. I prefer it over white highlighters (like Benefit's High Beam) because it's better for everyday. Can't wait to read more posts.And I love this blush, one of my favorites and it's really unique!